You may not be part of the one percent, but there’s at least some chance that you’re part of the lucky eight percent. That’s the eight percent of the world’s population living in areas not so polluted that air quality is below the minimal acceptable standards established by the World Health Organization. You read that right: 92 percent of the world’s population lives in places where the air quality exceeds WHO limits for pollution.1 And WHO says that’s a conservative estimate. Talk about shockers! The WHO limits for clean air restrict particulate matter to no more than 10 micrograms per cubic meter for the smallest particles. That figure does not mean that the air is healthy at 10 micrograms per cubic meter; it merely means it’s acceptable by WHO standards. Truly healthy air might have a much lower measurement, meaning that if you live, say in Oklahoma City where the PM is 9, you are probably still getting a dose of toxins with each breath. That said, most places in the US are under the WHO limit, with notable exceptions in California and industrial regions. But even in the most polluted areas of the US—say Visalia, California, where PM2.5 pollution measures a dismal 18, nearly twice the WHO limit, there’s no comparison to Kampala, Uganda, where the measurement is 104, or Gwalior, India, at 176. To get accurate measurements of particulate matter, the WHO established monitoring stations in 3000 urban and rural locations across the globe, also using information collected by satellite. The research focused on measuring particulate matter of less than 2.5 micrometers in diameter (about 3% the diameter of a human hair), which is especially dangerous as the smaller the particulate, the longer it lingers in the atmosphere and the more easily it enters the bloodstream and lodges in organs. Substances measured included sulfates, nitrates, ammonia, sodium chloride, black carbon, and dust from minerals in each location.3 The study did not measure certain known pollutants such as ozone and nitrogen oxides, nor did it measure indoor air pollution, which is why WHO admits the estimates are conservative. According to the report, which details deaths from outdoor air pollution, “The WHO Western Pacific and South East Asia regions bear most of the burden with 1.1 million and 799 000 deaths, respectively. In other regions, about 211 000 deaths occurred in Sub-Saharan Africa, 194 000 in the Eastern Mediterranean region, 190 000 in Europe, and 93 000 in the Americas. The remaining deaths occur in high-income countries of Europe (289 000), the Americas (44 000), Western Pacific (44 000), and Eastern Mediterranean (10 000)." Where does the outdoor pollution come from? WHO blames "inefficient modes of transport, household fuel and waste burning, coal-fired power plants, and industrial activities.” There’s also pollution coming from natural sources, such as dust in desert areas. Much of the worst of the pollution comes from omnipresent coal and dung-burning in certain parts of the world, such as in China, which leads the world in deaths due to poor air quality, followed by India and then Russia. In China, scientists estimate that 40 percent of annual deaths from outdoor pollution are directly attributable to coal fumes. Do remember, too, that indoor pollution is at least as toxic and health destroying as outdoor pollution, causing even more deaths. In developing countries, much of that risk comes from indoor fires burning solid fuels such as cow dung or coal. In the developed world, the risk comes from product off-gassing and household chemicals as well as the buildup of radon gas in high tech, energy efficient houses. 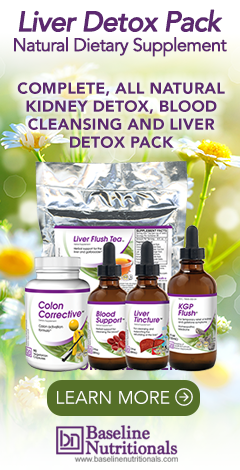 The bottom line for you is that it’s essential to remember to do a full-body detox regularly. You may be eating right and exercising, but chances are good that if you’re still breathing, you’re inhaling troublesome particles that you need to expel from your body for optimal health. Gradual rise in atmospheric carbon dioxide has become a major concern amongst the weather scientists. Monthly CO2 measurements portray small seasonal oscillations in collective yearly uptrend; its maximum reaches in the Northern Hemisphere in late spring, and declines during the growing season when plants dissolve a portion of CO2 from the atmosphere. The greenhouse gas effect is the procedure which conducts absorption and emission of infrared radiation by gases in the atmosphere thereby warming a planet’s lower atmosphere and surface. This atmospheric phenomenon was first discovered by Joseph Fourier in 1824, and extensively investigated by Svante Arrhenius in 1896. Though existence of greenhouse gas effect has never been disputed, yet controversy erupts on the quantum of its effect caused by the concentrations of greenhouse gases in the atmosphere due to human activity. Naturally occurring greenhouse gases have an insignificant warming effect in the atmosphere, but later it is balanced also naturally when plants begin to appear. The concentrations of CO2 and methane have alarmingly gone up by 36% and 148% since the mid-1700s, when human activity has increased manifold after the beginning of the industrial revolution. However, it was assessed that the global temperature was relatively stable one or two thousand years before 1850, but alarming scene appeared when temperatures in lower troposphere have recorded a rise between 0.12 and 0.22*C (0.22 and 0.4*F) every decade since 1979. These concentrations are higher than any time during the last one million years. The main culprit is the burning of fossil fuel, which is instrumental in increasing the CO2 by more than three-quarters of the total increase in the past three decades. The rest is due to rampant deforestation and change in land use pattern. The process of increase of CO2 concentrations has not yet stopped; rather it is going up continuously, because the world has yet to find out a dependable alternative to fossil fuel. The Intergovernmental Panel on Climate Change (IPCC) in its Special Report on Emissions Scenarios has estimated an emission of 541 to 970 ppm by the year 2100, which may result in an increase in global surface temperature by a further 1.1 to 6.4*C (2.0 to 11.5*F). The land temperatures increase about twice as fast as the ocean temperatures (0.25*C: 0.13*C per decade). Having more land area concentrations, the Northern Hemisphere warms faster than the Southern Hemisphere. Though emission of greenhouse gases is more in the Northern than in Southern Hemisphere, yet it does not affect the overall warming scenario, because greenhouse gases persist long enough to mix up uniformly. Sometime the destruction of stratospheric ozone layer by chloroflurocarbons is also attributed to global warming, but the link between the two is very weak, because, on the contrary, it will have a more cooling influence. Moreover, there was no significant ozone depletion until the late 1970s. Therefore, surface warming is more impacted by tropospheric ozone. If we talk about aerosols, then their effect may be cool or warm depending on whether they are airborne or deposited. Airborne aerosols absorb the solar radiation and heat up the atmosphere, but cool the surface. However, when deposited on the glaciers or on ice in the arctic regions, the lower surface albedo heats the surface, thereby causing quick melting of the ice or snow. With more greenhouse gas (CO2) the atmosphere is warmed, which triggers relative increase in water vapour in the atmosphere. Since water vapour is also a greenhouse gas, it once again further warms up the atmosphere, and which again releases more water vapour. Therefore, consequently, the atmospheric water vapour causes more greenhouse effect than the CO2 alone. Therefore, containment of CO2 should be the priority, which is the main culprit behind global warming. Even when ice melts, the more water becomes free and spreads its concentration, which again causes more warming, because land and open water are less reflective of solar radiation than ice. The consequence is more melting, and the cycle continues until the whole surface ice is melted. Warming is also acting as a catalyst for release of methane both from land and the deep ocean floor. Similarly, as ocean warms up, the ocean’s ability to sequester carbon also declines, because warming causes depletion in nutrients level of the mesopelagic zone (between 200 and 1000 metre deep). That shrinks the growth of diatoms in favour of smaller phytoplankton, which is the poor biological species to process carbon. A 17-member team led by Ben Santer in 1908, in its report concluded that the earlier observations, based on the climate models, made by the IPCC were not accurate on many respects, for example, they found that the Arctic shrinkage would be much faster than predicted. The effects of global warming would be more sinister than our expectation. There would a great deal of changes in the pattern of frequency and intensity of precipitation; it may be erratic and infrequent in one place, then in another it will be so heavy that there would be devastation. Glacial retreat, Arctic shrinkage and worldwide rise in sea level would be other effects. Other additional effects would be sudden fall in crop yields, species extinction, and change in disease vectors for which even common diseases like diarrhoea and dysentery become fatal, as because their frequent and widespread occurrence become difficult to tackle by any country. Water scarcity would be a common phenomenon; because of glacial retreat most of rivers of the world would be either extinct or serpentine trickle. The population living beside the river banks will face the brunt of extreme weather conditions most. China, India, Myanmar, Eastern and middle Africa, South-East Asian countries, UK, island nations, upper South America, Southern USA, Gulf countries, and other petty countries would face extreme water scarcity and simultaneously some of them devastating floods because of cloud burst and heavy precipitation. Glacial retreat and ice melting would cause inundation of major cities beside the seas, and the land available would gradually shrink. The tropical hurricane activities in the Atlantic Ocean would intensify further with the increase in sea surface temperature. The eastern coastal areas of North America and Canada will be seriously impacted, and the life of humankind inhabiting these areas will be highly precarious. Similarly eastern China, Japan and other island nations will also face the brunt of frequent typhoons rising in the Pacific Ocean. Eastern India and Bangladesh will face the same situation due to repetitive development of low pressure areas in the Indian Ocean, Pakistan and the coastal East Africa and the Middle-East countries will not be spared either. Problems of food shortage will further exacerbate with the rise in population and shrinkage of land areas for cultivation, there will also be massive migration from one region to another. Due to extreme weather conditions, lowering of ocean pH and oxygen depletion will extinct major ocean species, which will cause extensive scarcity of available sea food. With less sea food availability there will be less protein intake by major population of the world. Diseases like malaria, dengue fever, Lyme disease, Hantavirus infections, bubonic plague, cholera, tuberculosis, cancer etc. will spread by leaps and bounds. One study had predicted that by 2050 about 18% to 35% of a sample of 1103 animal and plant species would be extinct, if climatic condition deteriorates at the present rate. Increased level of atmospheric CO2 would simultaneously increase the level of dissolved CO2 in the ocean, which would react with water and form carbonic acid, thereby making the ocean water acidic. Since organisms and ecosystems are usually adapted to fragile range of pH, hence there is a serious concern among scientists that in future there would be massive extinction of marine life and consequent disruption in sea food webs. It is to be noted, even if greenhouse emissions are reduced, it will still take hundreds of years to re-emit heat and carbon dioxide trapped in the oceans. It has been estimated that extreme weather conditions will seriously reduce gross domestic product in the world, in a worst situation, the global per capita consumption will fall by not less than 20%. Every economic sector, such as banks, transport, agriculture, industry etc. will face the impact of global warming, the worst affected will be the developing countries like India, China etc. Will India and China heed this warning of nature, and divert their attention towards greater good of their populations giving up petty political interests? The world’s primary international agreement on reducing greenhouse gas emissions was the Kyoto Protocol, which was an amendment to the United Nations Framework Convention on Climate Change (UNFCCC) negotiated in 1997. The Protocol covered more than 160 countries, which amounted to about 55 percent of global greenhouse gas emissions. Unfortunately the United States, historically the world’s largest emitter of greenhouse gases, refused to ratify the treaty. The picture emerged in 2010 is as follows: China (party, no binding target), USA (non-party), EU (party, binding targets), India (party, no binding targets), Russia (party, binding targets 2008-12), Indonesia (party, no binding targets), Brazil (party, no binding targets), Japan (party, no binding targets), Congo (party, no binding targets), Canada (formerly party, binding targets 2008-2012) and other countries. The countries, which signed, but kept no targets, meant only one thing, they were not serious about greenhouse gas emissions. The 2012 UN Climate Change Conference was the 18th yearly session of the Conference of the Parties (COP) to the 1992 UNFCCC and the 8th session of the Meeting of the Parties (CMP) to the Kyoto Protocol. The conference took place from 26 November to 8 December 2012, at the Qatar National Convention Centre in Doha. The conference reached an agreement to extend the life of the Kyoto Protocol, which was due to expire at the end of 2012, until 2020, and to reify the 2011 Durban Platform, meaning that a successor to the Protocol is set to be developed by 2015 and implemented by 2020. Wording adopted by the conference incorporated for the first time the concept of “loss and damage”, an agreement in principle that the richer nations should be financially responsible to the other nations for their failure to reduce carbon emissions. However, it is doubtful, how far the agreed principle to make the richer nations financially responsible for their failure to reduce carbon emissions could be implemented. Hundreds of conferences would be held in future also and hundreds of protocols and agreements would be signed, but I doubt their efficacy in terms of their actual achievements, hence the actual position would once again be back to square one, unless a reliable substitute to fossil fuel would be found, because no nation would agree to retard its economic progress. As time and tide waits for no man, likewise the accumulation of greenhouse gas into the atmosphere will also continue. But it is high time, realization had to dawn before it is too late. Mankind has to be saved at any cost. Time is also quickly running out of hands, because PTI has recently reported that Mount Everest has already started shedding its ice cap as its glaciers have shrunk at an alarming rate of 13 per cent over the last 50 years due to global warming. The ends of the glaciers have also recorded a retreat by an average of 400 metres since 1962. Let us do something before it is too late! Thank you for your articles. I appreciate the info you provide and learn much from them. Reference the 2 articles above, I missed you mentioning or ever having written regarding the Chem Trails emitted by aircraft and traversing the atmosphere with very serious pollutants and heath threatening pathogens. People in many localities are experiencing asthma attacks with more frequencies and are becoming more debilitated. The lungs and intestines, and kidneys can only can only filter out toxins so much. Another thing being seen by the medical profession and (dermatologists) in particular, are skin and scalp disorders with rashes, hives, pustules, psoriasis, and other ear, eye and mouth infections. What is going on? Uro-kidney infections are not responding to antibiotics. If possible could you please research the Chemtrail pollutants because the public needs to become aware of this great threat to human life, plant life, and oceanic pollutants affecting the food chain. What is one to do since we all need to breath? Thank you so very much for your continued work in conventional medicine and alternative health remedies for the betterment of the human race.